Memorial Day weekend is the time to kick off summer. But did you know that it’s also one of the best times of the year to buy a new bed? 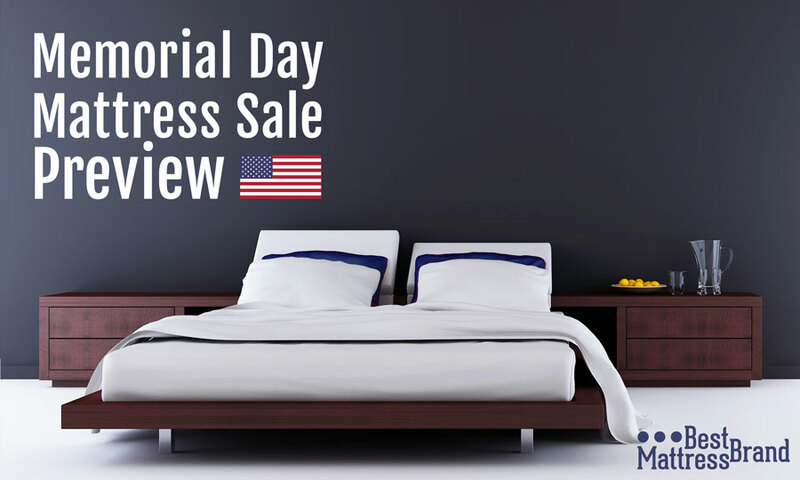 There are a few times each year when mattress retailers roll out really steep discounts. And this upcoming holiday weekend just happens to be one of them. Shoppers can expect to see price cuts from a variety of sources. These include online retailers, department stores, and local shops. And both big brand names and trendy specialty brands will be on sale. In short, it’s a great time to go shopping for the bed of your dreams. Especially if you’ve been putting up with poor sleep all winter. You won’t want to miss out. So mark your calendars: This year the Memorial Day holiday falls on Monday, May 28th. But companies usually start launching their sales as early as the Friday before. It might be wise to start your search now. Decide on exactly what you’re looking for and find a few options that fit the bill. When sale time rolls around, all that’s left to do is shop around for the best price. That’s where this article comes in. We’re combing through the best options to help you save. Brands tend to post their discounts on a rolling basis. Each time a new one comes up, we’ll be adding it to this in-depth list. See what’s available right now—and keep checking back for more ways to save. If you’re in the market for memory foam, take note. We’re convinced that the best option out there is Amerisleep’s AS3. Amerisleep is an up-and-coming online brand you’ll want on your radar. They’re building a reputation for their high quality memory foam mattresses. All of their models are being offered for $200 off this weekend. And their AS3 is arguably the best of the bunch. There are lots of reasons why the AS3 stands out from the crowd. It consistently earns higher than average reviews and owner satisfaction ratings. 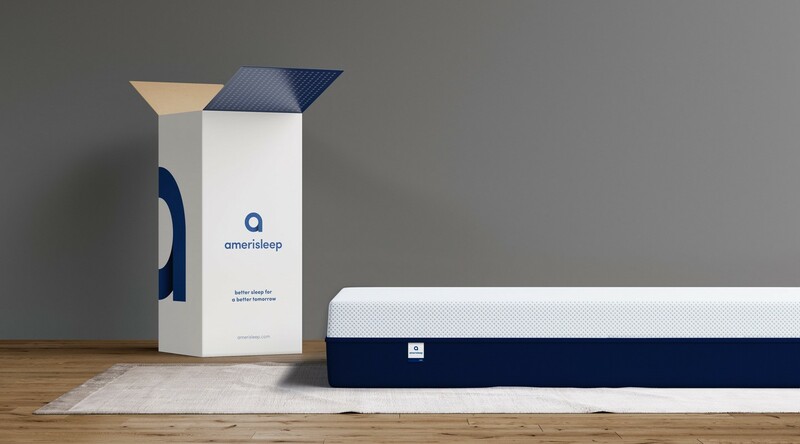 Amerisleep is also a highly transparent company. And they offer a 100-day risk free trial as well as free returns. Their high-quality foam and affordable prices also represent an excellent value. Again, the AS3 and Amerisleep’s other beds are all $200 off over the holiday weekend. That represents a 15% savings off the list price. This is an opportunity you won’t want to pass up. Not sure if memory foam is the right choice for you? Don’t worry. Discounts abound no matter what type of bed you’re looking for. Here’s a sneak peak at two more stand out options from this year’s sales. For even more sales listing, just keep scrolling. You’ll find detailed comparison tables for dozens of discounted beds. You’ll also find tips for saving even more—and getting the best sleep you can. What it is: This is a new version of a formerly popular Serta model. It has a modest layer of memory foam, pocket coils, and firm support. Why it stands out: It has a higher than average coil count for the price range. It’s also an established brand that’s fairly transparent. (Though there’s no density info.) The brand also offers a good return policy. The three models covered are just the tip of the iceberg. There are plenty more options to save big. Here we’ve divided the discounts by mattress type for easier shopping and searching. Memory foam mattresses have exploded in popularity in recent years. That’s great news for shoppers. More competition online and in stores means better products and prices overall. Memory foam mattresses in general tend to receive high customer satisfaction rates. However each product line is different. So it’s wise to do your research before buying. Look at things like foam density, temperature and breathability, and durability and longevity. These factors can tell you if you’re getting a good value. Here are the some of best discounts you’ll find during this holiday weekend. All prices are listed for queen-sized beds. Latex mattresses are also growing in popularity. The material offers a bouncier feel compared to memory foam. Some shoppers find this preferable, depending on what they want in a bed. Some other benefits? A small group of retailers offer 100% natural or certified organic latex models. This can be an attractive option for green-minded shoppers. There are some things to keep in mind though. Sale events for latex mattresses aren’t quite as common. These beds tend to be made with more expensive materials. So there tends to be less wiggle room on the price. A couple of online brands do offer savings though. Here are the ones to look into for the upcoming holiday. Traditional spring beds are the easiest type to find. They don’t rank as highly for customer satisfaction as other models. But they remain popular because they’re usually cheaper than memory foam and latex. Some innerspring models do offer hybrids of either latex or foam and springs. But these options tend to come with a premium price tag. 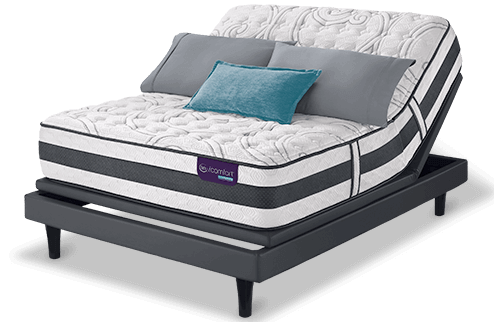 It’s possible to find a comfortable innerspring bed. You just need to compare the coil counts and type, the quality of the layers, and the reported durability. Here’s a look at some of the best innerspring promotions we could find. As you can see, the prices vary quite a bit based on quality. Don’t assume that cheaper is necessarily better. This bed type might not be on your radar. But adjustable beds are finding their way into more and more bedrooms. And for good reason. Adjustable beds can be raised or lowered to provide a personalized level of comfort. This can help relieve pressure and pain. It can also offer relief from health problems like sleep apnea, snoring, and acid reflux. Best of all, now is a great time to save big on adjustable beds. You can find great deals this time of year. Especially on adjustable bases purchased as a set with a mattress. Most of us spend around a third of our day in our beds. That’s probably more than any other place in your home. So it makes sense to be smart with your shopping process. The number one piece of advice we can offer? Don’t buy the first bed you see that happens to be in your price range. This is especially important during big discount events. Buys made under pressure can lead to regret later on. So take your time and research your options. You can always come back to that first bed if it turns out to be the best fit. Early birds always have an advantage. And it’s no different during a holiday weekend discount event. Most price drops aren’t available until the weekend actually starts. But retailers start advertising them at least a few days before. So you’ll want to pay attention. Keep in mind that some products may have limited availability. You might miss out on the bed you want if you wait too long to buy. That’s another reason why researching and comparing in advance is a good idea. You’ll be ready to pounce on your pick as soon as the sale hits. Keep your comfort and budget in mind. You likely have a long list of preferences for what you want in a bed. Don’t get caught up in what advertisers are selling you. Instead, know what you’re looking for. And set your price range early. You might end up having to pay a little bit more for the bed that you want. Or you may have to forego features that help you stay in your dollar range. But you should be able to find a model that fits the bill if you stick to your guns. Especially during holiday discount events, which can help you get the most for your dollar. Don’t just rely on a showroom salesperson or manufacturer description. You can find a lot of valuable information if you dig. Heading online might be your best bet. It’s often easier to compare prices. And you’ll have a chance to read buying guides and customer mattress reviews. Both of these things can offer an insider’s look at how a mattress really performs. Don’t forget to read up on the hard facts too. Look into the materials used in beds to determine the quality. See how the value compares to other models to make sure the deal is a good one. Let other shoppers be your guide. See how customer reviews can help you buy a better bed. What is the company’s return policy? How long is the warranty and what does it cover? These kinds of details aren’t the most exciting. But it’s still very important to get answers to these questions before you make a purchase. If you’re having trouble tracking down this information, ask for it. It should always be available on request. It’s especially important to read up on these details when it comes to sale events. Not all promotional mattresses will be returnable. And some might have a shoddy warranty. Those aren’t the kinds of policies you want for something you plan to use nightly. Especially since it can take some time to decide if a bed is really the right fit. In short, don’t be pressured to buy before getting the facts. It’s true that the holiday weekend offers some of the very best discounts of the season. Know that you’re picking a good time to shop. But don’t let yourself get caught up in the frenzy. Remember, a thoughtful shopper is a satisfied shopper. There are lots of things to consider when shopping for a bed in general. Sale events bring in extra considerations though. Now you also have to factor in rebates, discounts, and other types of offers that might get thrown into the mix. Be mindful and double check the fine print to make sure you don’t overlook something important. You’ll likely encounter all types of benefits during this big price slashing event. Some might be familiar. But there could be some you haven’t heard of. Here’s a look at some of the more common offers that tend to pop up during this time of year. Discounts: These are amounts taken off the original price at the time of purchase. Quite a few places offer instant discounts of $200 or more on all types of beds each year. Discounts are preferable to rebates because they shave money off the price instantly. Rebates: These are amounts that you get back after paying the full price. Customers usually have to send in a receipt or file a claim to the retailer or manufacturer. Then they’ll get back money or a gift card. Rebates and mail-in offers are more common on expensive brands. These include Tempurpedic and Serta. These manufacturers sometimes prefer not to discount their products. Bundles: These are discounts on items that are purchased together. Think bedroom sets with a foundation, or a mattress with an adjustable bed base. Other offers could include pillows or bedding for free or discounted rates. Bundles can be a good deal. But only if you actually need all the items being offered. If you don’t, just walk away. Keep in mind that these offers don’t have to be either/or. Sometimes they’re offered in combination. You might come across a rebate or a discount along with free items thrown in. All of these options can be great depending on what you’re looking for. So weigh all of the benefits of each potential purchase. Don’t forget to factor in costs like delivery or shipping and taxes. Remember that having your old mattress hauled away could also cost you. It’s true that discounts are fairly common to find. But retailers don’t mark down their prices this much too often. In fact, your next best bet to save big won’t be until July 4th. So if you need to replace an old bed soon, now’s the time to do it. Not ready to buy just yet? Get the scoop on other yearly sales events. As this article shows, there are plenty of discount options to choose from. But Amerisleep’s AS3 remains our top choice. This highly rated option is a consistent customer favorite. It’s also made with quality materials to ensure optimal support and comfort. Truthfully, the regular $1,399 price tag is a great value year-round. But the current sale price of $1,199 practically makes it a steal. Of course, everyone has different preferences and budgets. You really can’t go wrong with the AS3. But if you want to explore your options, see what else is out there. Don’t just focus on the price tag. Pay attention to the overall construction and quality. Remember to seek out customer reviews. And always read the warranty and return policies. Factoring in all of these details will help you find a great bed at an even better price. Happy deal hunting! Hi, I read the full blog that you mentioned above. Kids love to sleep with these mattresses. Thanks for sharing information with us. What’s The Best Bang For The Buck In The 2,500 Range . Why in the world do you have none of the lower priced competitors? They have reviews equal to anything you have here. Like who? Can you share your information?